Late-day thunderstorms on 26 June 2016 set the scene for the development of fog overnight over southwestern Georgia. The animation above shows the GOES-R IFR Probability fields. An enhancement in the fields that is initially driven by Rapid Refresh Model data showing near-saturation at low levels is apparent at 0200 UTC. As clouds associated with the departing convection dissipate, satellite data could also be used as input into the IFR Probability fields. 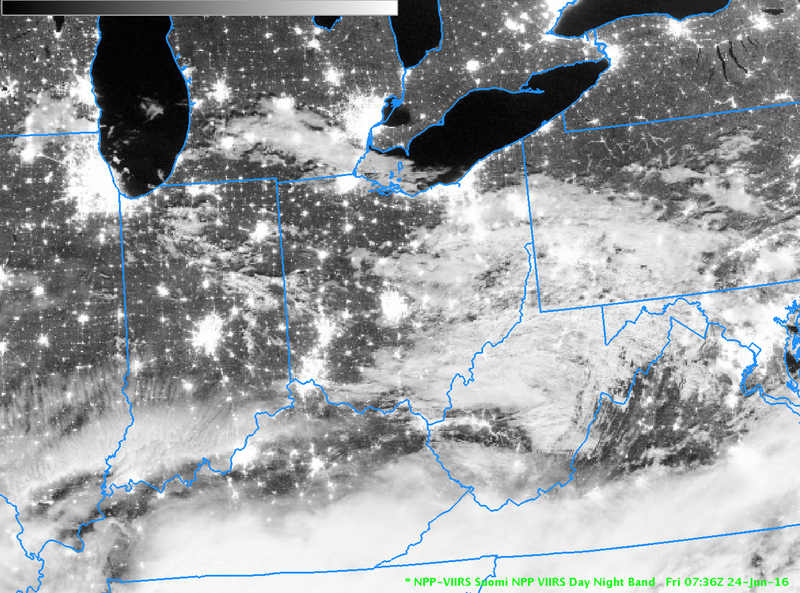 The toggle below of GOES-13 Brightness Temperature Difference fields (3.9 µm – 10.7 µm), at 0200 and 0400 UTC, shows the appearance of low-level clouds as mid-level and higher clouds (dark in the enhancement used) dissipate. By 0400 UTC, when satellite pixels finally start to suggest low clouds, fog had already started to develop. IFR Probability fields gave an early alert to the possibility of fog development on this day that was not possible from satellite data alone. GOES-R Cloud Thickness Fields can give a hint to when radiation fog, as in this event, will dissipate in accordance with this scatterplot. The image below shows the GOES-R Cloud Thickness at 1030 UTC, the last field computed before twilight conditions (indeed, the boundary showing that boundary is readily apparent over eastern Georgia), with values exceeding 900 feet in some places over southwest Georgia. Based on the scatterplot, that suggests a dissipation time of just over 2 hours (based on the best fit line, but note the scatter in dissipation times associated with cloud thicknesses of 900 feet: just over an hour to almost 4 hours!) so clear skies would be expected by 1300 UTC. The animation of visible imagery, here, shows that fog persisted just a bit longer than that, dissipating shortly after 1400 UTC. GOES-R Cloud Thickness field is an empirical relationship between 3.9 µm emissivity and cloud thickness that is based on SODAR observations off the west coast. The scatterplot was created based on past observations limited to the southeast part of the US and parts of the Great Plains. This entry was posted in Deep South, Dissipation Time, Multiple Cloud Layers on June 27, 2016 by Scott Lindstrom. IFR Probability fields, above (a slower animation is here), show high probabilities of IFR Conditions over much of Maine, but a definite western edge is also present, moving eastward through New Hampshire and Vermont and reaching western Maine by 1215 UTC. 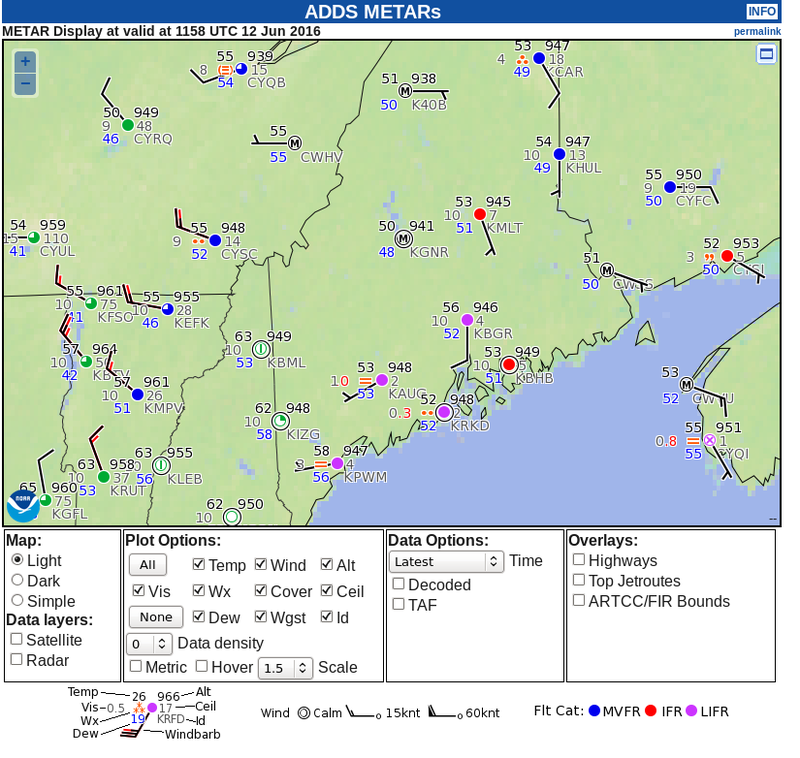 The screen capture below, from this site, shows IFR (station models with red) and Low IFR Conditions (station models with magenta) over much of southern Maine at 1200 UTC on 12 June in advance of a warm front. Careful inspection of the IFR Probability animation shows a field at 1000 UTC that is very speckled/pixelated. This likely results from cloud shadowing. The combination of a very low sun and multiple cloud layers resulted in many dark regions in the visible imagery that the cloud masking may have interpreted as clear regions. (Click here for a toggle between Visible Imagery and GOES-R IFR Probabilities at 1000 UTC). Low IFR Probability fields are also computed by the GOES-R Algorithms. Values are typically smaller than IFR Probability. Plots of Low IFR and IFR Probabilities at 0700 and 1215 UTC are shown below. This entry was posted in Low IFR Probability, New England on June 12, 2016 by Scott Lindstrom. Two power outages 12 hours apart at UW-Madison CIMSS have impacted distribution of GOES-R IFR Probability fields. It’s possible that products may not be smoothly flowing again until Monday 13 June. Data are flowing as of about 0000 UTC on Saturday. 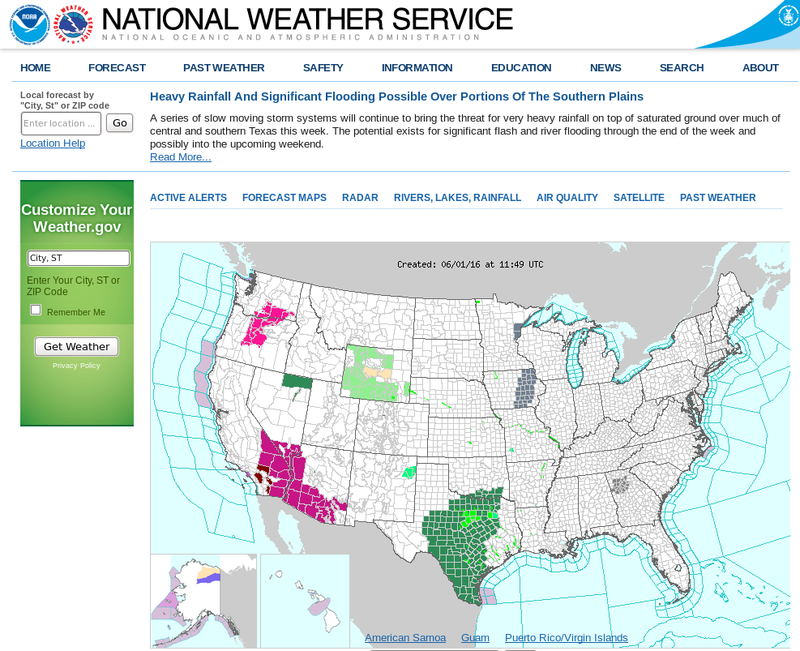 In the interim, users can find the products at the GEOCAT site. 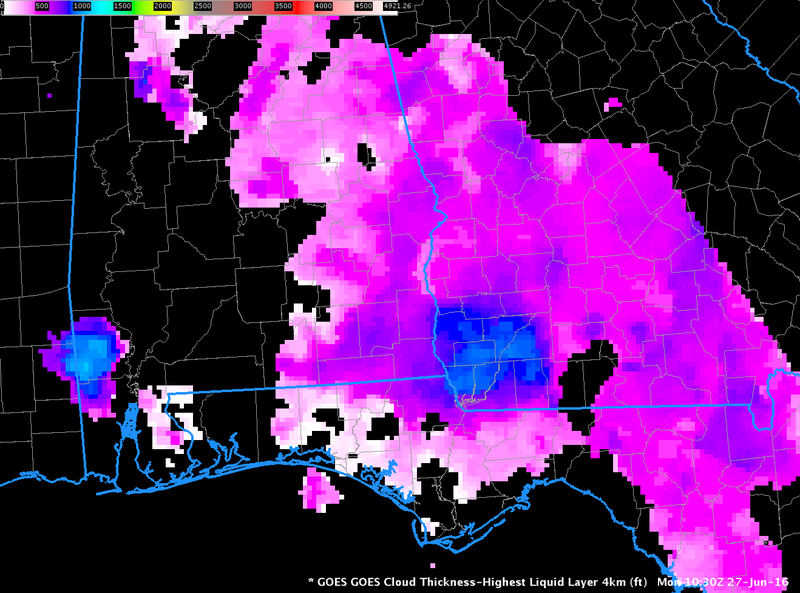 If you’re in the southeast US, near Atlanta, an experimental site that compares IFR Probability and Brightness Temperature Difference fields is here. This entry was posted in Error Explanations on June 10, 2016 by Scott Lindstrom.